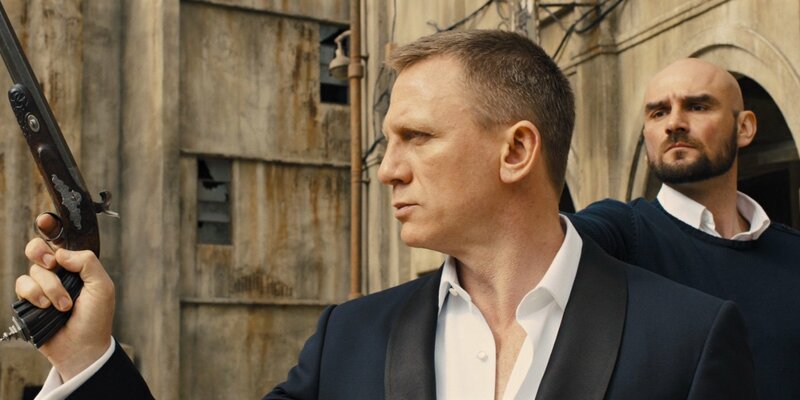 James Bond’s suits have quality details that set them apart from the average suit. 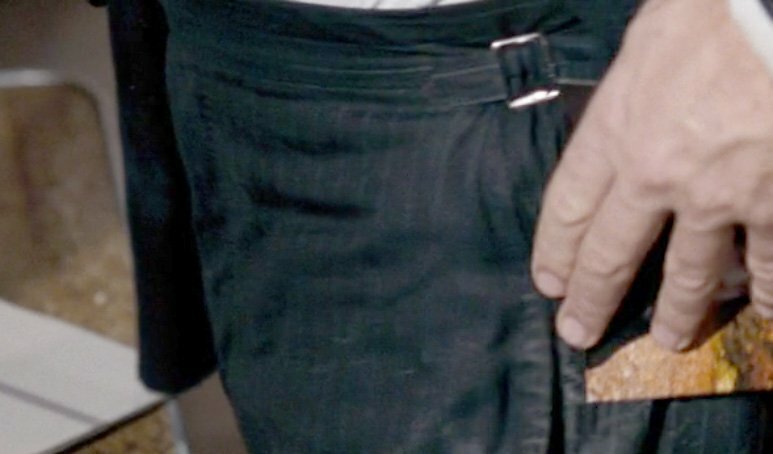 There are many stylistic details and construction methods found in Bond’s suits that show they are on a higher level than the standard high street fare. Some of these special details are signs of quality while others are merely a matter of taste. 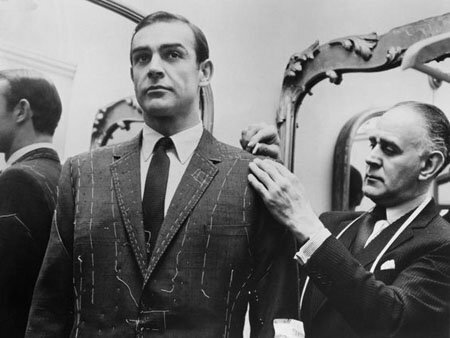 Many of the details found on James Bond’s suits are traditional marks of English tailoring, while others are simply signs of good quality. The best-known standard for a quality suit is full-canvas construction. This means that the front of the jacket is supported by an interfacing that is sewn into the jacket. As a cost-cutting measure, cheaper suits have an interfacing glued into the front of the jacket. This is known as fused construction. Mid-range suits add a sewn-in canvas to the upper half of the front to give the suit a more attractive shape, but the fully fused front is still retained. This is known as half-canvas construction. Other levels between these are occasionally used, but full canvas is the top. The best suits and jackets generally only have canvas down the front without fusing. This gives a softer and more comfortable feel to the jacket, and it better allows the jacket to conform to the shape of the wearer. A full canvas also allows the jacket to be tailored with more shape in the front, better improving the look, fit and comfort of the jacket. A full canvas is merely the starting point for the construction of a Bond-quality suit. Techniques in how the canvas is tailored into the jacket can further better the suit. The lapel on a well-made suit jacket often has a gentle roll. While a gentle roll is not a necessity of a well-made suit, it is only possible if the suit jacket is constructed with canvas in the lapels. A fully fused jacket cannot have a lapel with a gentle roll; it just has a limp fold. 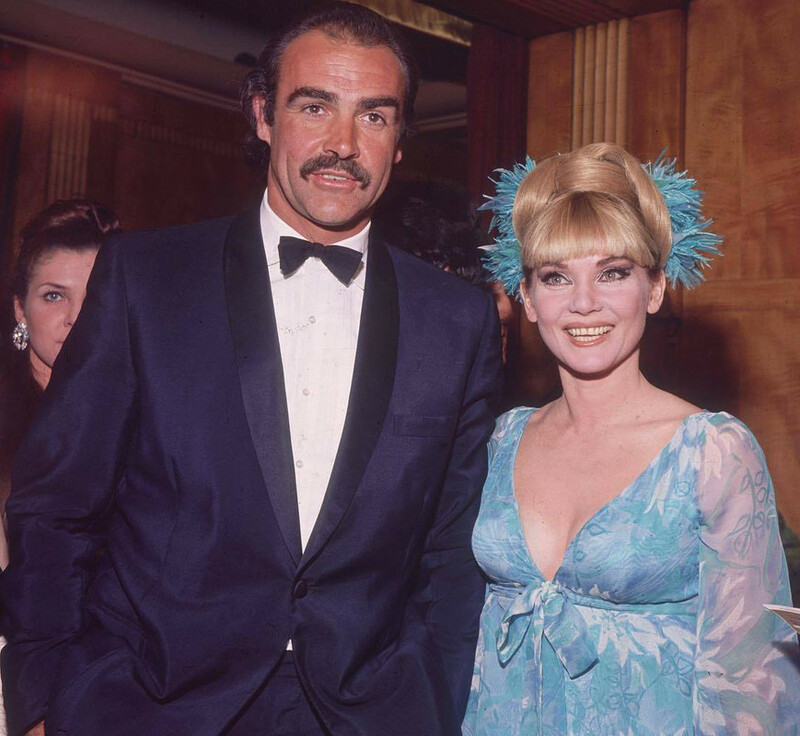 While jackets with one button or two buttons can have a rolled lapel (like Sean Connery’s Anthony Sinclair suits), the gentle lapel roll is most important and most well-known on the button three jacket. Because a jacket with three buttons is often only fastened at the middle button (the way James Bond almost always fastens his), the lapel should roll at the top button or through the top button to provide a smooth transition from the lapels down to the middle button. A roll at the top button is how English and some Italian tailors often construct their button three jackets, while some Italian and American tailors will roll the lapel through the top button. A roped sleeve head is when the top of the sleeve has a rounded bump, punctuating the ends of the shoulders. 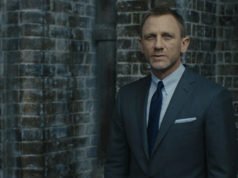 Many of James Bond’s suit jackets have this feature, from Sean Connery’s Anthony Sinclair suits to Daniel Craig’s Tom Ford suits. Roped sleeve heads can give a suit a stronger and more regal look. Many English and Continental tailors and high-end brands use roped sleeve heads on their suits, but they are not as often found on suits of average quality because they are more work to create than a natural sleeve head that only follows the shoulder line. Roping is not a necessity to a high quality suit, and the inclusion of the style is a personal (or often the tailor’s) preference. But because it takes skill to do it well, it is often seen as a high-end stylistic detail. There are practical reasons for the roped sleeve head as well. A roped sleeve head means that the sleeve has been cut larger than the armhole, which provides more comfortable arm movement and helps the sleeve to hang better. To clean up the excess fabric at the top of the sleeve attachment, wadding is added in the top of the sleeve to create a smooth and attractive sleeve head in the form of roping. Pick stitching—also known as prick stitching—is the fine stitching along a jacket’s lapel edges, collar edge, front edge and pocket flap edges. Sometimes it is used elsewhere. At one time, pick stitching was the sign of a high-end suit, but now it can be found on suits of all quality levels. It’s the pick stitching done by hand that is a true measure of quality. Proper pick stitching is a very fine stitch that is hardly visible. It is usually done in a thread colour that matches the suit colour, to help it be more invisible. Its purpose is to hold the edges together to keep them sharp and prevent them from puffing out or rolling over. Because pick stitching is so fine, it is not there for looks since you’ll never see it on an English bespoke suit. It’s just there quietly doing its job. People got word that pick stitching is a signifier of a high-end suit, and it started popping up on cheap suits done as a bold saddle stitch by machine. These cheap, flashy examples of edge stitching has given pick stitching a bad name, and that is not what pick stitching is meant to be. A bold saddle stitch is not necessarily bad, but it should be left to sporty suits and jackets, if one desires. However, there are machines, such as the AMF machine, that can mimic the hand pick stitching. If the stitching is subtle enough that it can only be seen in bright lighting from less than a foot away, it is a sign of quality. No average suit comes with trousers that are supported by side-adjusters. These are the adjustable tabs that sit on either side of the waistband that tighten the waist, and they can be found on many English bespoke suits and now on many Tom Ford suits. Wearing a suit with side-adjusters rather than a belt or braces (suspenders) is merely a matter of taste rather than one of quality, but they are just about never seen on anything less than a high-quality suit. The extra effort that must be put into a suit to include side-adjusters ultimately makes them a high-quality feature. In comparison to a belt, side-adjusters make the trousers feel lighter on the waist. They also allow the jacket to fit closer to the body since there will not be a lump in the jacket around the waist from a belt. In comparison to braces, side adjusters don’t put pressure on the shoulders, which some may find uncomfortable with braces. James Bond’s suit trousers throughout the first eight films and the most recent three (through Spectre) are exclusively supported by side-adjusters. Why are side-adjusters not more common? Belt loops are much easier, faster and cheaper to make, and they provide menswear shops with the opportunity to sell belts. Many men love wearing belts and have been convinced that a suit is incomplete without a belt. All around, it is easier and safer for a shop to sell suits that take belts. Side-adjusters are primarily a British style and never largely caught on outside of Britain. Those with a taste for British style or those who can understand the benefits of side-adjusters over belts are ultimately few and far between throughout the world, thus making side-adjusters a very special detail. The gauntlet cuff is another detail that is a matter of taste but can only be found on high-end clothes. 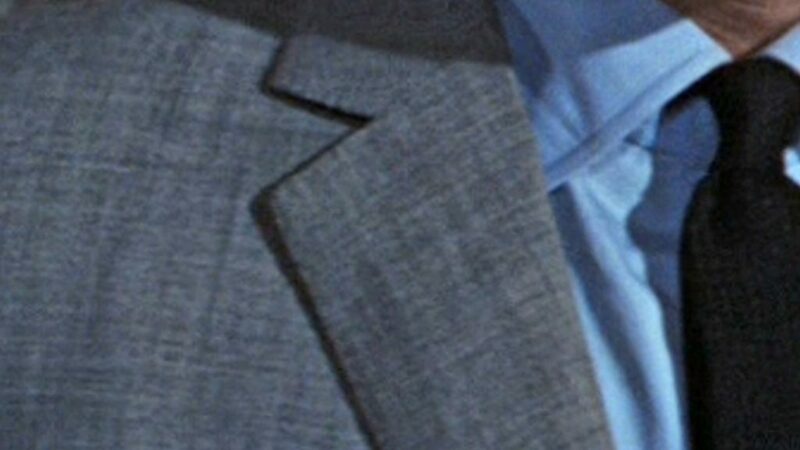 This is the turned-back detail that occasionally graces the sleeves of James Bond’s dinner jackets. In Dr. No, From Russia with Love, The Man with the Golden Gun and Quantum of Solace, James Bond wears dinner jackets that feature gauntlet cuffs. Sometimes it can even be found on James Bond’s overcoats, such as in Live and Let Die. The gauntlet cuff is an appropriate detail for any type of jacket or coat. But on a dinner jacket it is an especially Bondian detail that can set one’s clothes apart from what most men wear. Though it’s not a difficult detail to make, it is never necessary and thus an unwanted cost in ready-to-wear. The gauntlet cuff is almost exclusive to English bespoke tailors and other highly knowledgeable tailors throughout the world, but in ready-to-wear they can rarely be seen outside of Tom Ford. What ultimately makes the gauntlet cuff a bespoke feature is that it takes extra work to adjust sleeve length with a gauntlet cuff on the end. This is especially true if the cuff is formed from the end of the sleeve rather than the more typical gauntlet cuff that is a separate piece sewn on to the end of the sleeve. What ultimately makes for a superior suit is the cut. This is not detail but rather the essence of a suit, and no detail can make a suit as special as the cut. The right cut is either the result of a well-trained and experienced bespoke tailor or a well-researched and nuanced ready-to-wear pattern. It is more than just a chest and shoulder measurement. The cut is about the shape of every part of the suit. It is not about high armholes either, but that’s a start. A good cut helps the suit better conform to the body and move with the body. And a good cut is a masterful work of engineering that the average suit never gets right. The cut has nothing to do with fashion trends. A suit is not a house, where the pieces are cut to fit perfectly together, but that’s how cheap suits are made. In a high-end suit, the wool it is made from is shrunk and stretched in places to make bigger pieces of cloth fit into smaller pieces to provide shape that seams alone cannot. Iron work is needed to shape the suit to the body for the best fit and most comfort. There are many other things that a good suit does better than a bad suit. The pocket placement should be in the right position so the wearer looks taller and slimmer. Buttons should be sewn on with a shank. Lapel buttonholes should be without a keyhole and be functional so that they can hold a flower. Vents should be cut with enough overlap to ensure they stay closed. Waistcoat pockets should not be placed too high. The trouser waist should curve, but not too much. Trouser pockets should be deep enough so items do not fall out. Braces buttons should be sewn on the the trousers far enough apart that the weight is evenly distributed. Other things do not have as much significance as people give them. Working buttonholes on the jacket cuff is the most overrated detail. While it makes sense that buttons should be paired with real buttonholes, working buttonholes do not signify the overall quality of a suit. It used to be that only bespoke and made-to-measure suits had working buttonholes on the cuffs, or it meant that someone paid to have working buttonholes added to his ready-to-wear suit. While a good bespoke suit should always include working buttonholes on the cuffs, the best ready-to-wear suits come with unfinished sleeves. A ready-to-wear suit that comes with working buttonholes on the cuffs can create a problem because it makes adjusting the sleeve length more difficult. Now with even the cheapest ready-to-wear suits coming with working cuff buttonholes, they have no significance to the quality of a suit. This! I was just writing about this in my upcoming article about common alterations. It’s honestly better to get sham buttonholes on a ready to wear jacket than one with already working buttonholes if the sleeves don’t fit within a margin of 3/8″. I totally with you both. A bespoke suit will often last long enough to be handed down to a very grateful son or nephew, making adjustable sleeve lengths a great boon. I think it was around the year 2000 when I first saw people wearing the bottom button undone, as if they were desperate to shout that they were wearing an expensive suit – but all the other details Matt so expertly highlights here are so much more important! I do occasionally wear my last sleeve buttons undone. But that’s just for fun, not to broadcast that I own an expensive suit. I see it more like leaving the last button of a turnback cuff unfastened. Is it full canvas or nothing? EON? Not at all. While James Bond’s standards would demand a full canvas, half-canvas construction can make for a great-looking suit at a lower cost. Excellent post , Matt. 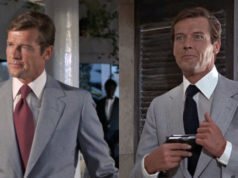 I would like to add one more feature of James Bond’s suits which can’t be found on the average suit these days : Trousers with Double Forward pleats. It is next to impossible to find a good tailor outside London who can make trousers with double forward pleats. They only make flat front trousers or Reverse pleated trousers. Those look excellent: forward pleats and side adjusters. In the United States, Paul Stuart, Ben Silver and O’Connell’s still have forward pleated trousers the last I checked. There are a few shops in London that still sell forward pleat trousers, but I’m not sure who they are right now. Ralph Lauren still uses forward pleats on their pleated trousers for the Blue Label and higher. Actually my tailor in Indianapolis (!) Made me an excellent pair of flannel trousers with double forward pleats! In the past, I would insist on a full canvas suit, but I wear italian suits more often now and they are generally unconstructed. I feel much more comfortable (especially in the warm climate where I live), and I think they flatter my frame more. I had a few bespoke suits made a couple of years ago that were full canvas and I ended up handing them down to my son. This is only for daily wear however, not for formal. Unstructured jackets can feel very comfortable, sometimes like a jumper. The majority of Italian suits are still constructed, but they may have a very soft structure with a full canvas. You can have a stiff, built-up fused suit and a very soft full-canvas suit with un-padded shoulders. I haven’t found unstructured jackets to wear cooler than structured, but a partial lining makes a bigger difference than a lack of canvas. 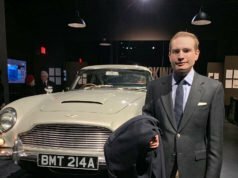 Matt.this dinner jacket is the same of “Thunderball”? Yes, it’s very likely to be. Matt, it seems that you never really covered Bond’s mohair suit in Dr. No, isn’t that right? It was mentioned together with Bond’s flannel suit in one (brief) article in 2010, but it was never subject of any detailed observation / analysis. Don’t you think that this is something still to be done? IMO it would be worthwile. 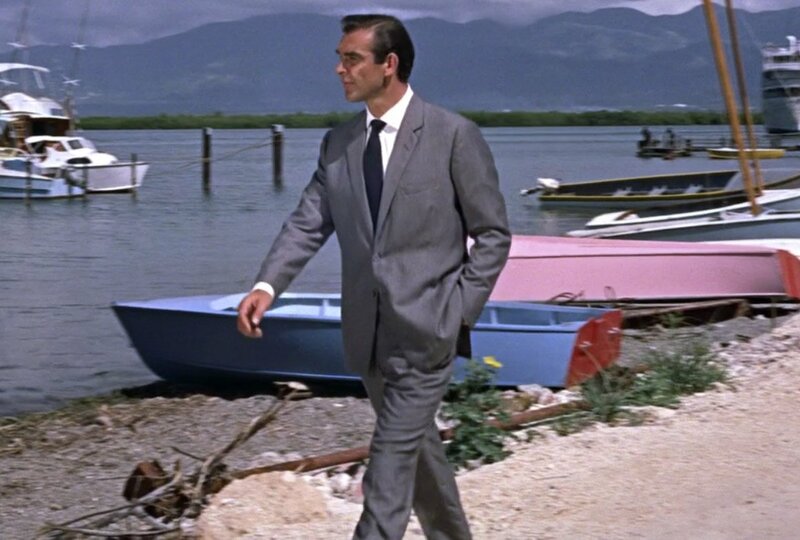 I’d also like to see the Dr. No grey suits covered in more detail. They look great and their proportions might be more timeless than Connery’s later Bond suits. I concur too, although for me, the most timeless Connery suit style would be the FRWL suits combined with the lapel width of the Dr. No suits. These latter has a really too roomy chest in which Connery is a bit drowning sometimes, and that is not flattering. He was certainly big enough in the chest he didn’t need a that extra room (although Sinclair himself said he cut the chest a bit fuller for the PPK). I fully agree to that – the FRWL suits are also my favourites (except the rather skinny lapels). I was told by mr. Mason of anthony sinclair that he will not put gauntlet cuffs on the dr.no dinner suit. He specified that the gauntlet cuffs are for bespoke only. I know it may seem harsh or unfair to some people, but I do agree with this; In the words of Mr. Mark Cuban, ” You have to pay to play.” However do you think it’s wise to get the gauntlet cuffs put on later by an independent tailor? I’m not a fan of the name, but I am a fan of skill. You could certainly have the cuffs put on by someone else, just be sure you are able to select a matching silk in person. The maker in Italy that they use can’t do things like gauntlet cuffs, lapels on waistcoats or DAKS tops on trousers. A suit is never less of a suit for not including those things. Some things really are special bespoke details. my medical school is graduation is fast approaching in an effort to look my best and honor the creation of the character I have a choice between two suits. My graduation is at 830 in the morning, both suits are made by loro piana. One is a dark blue, Tasmanian wool, the other is a navy herringbone. You have seen me and my skin tone. What should I wear to look my best and honor the character? Navy herringbone is more appropriate for this very important occasion because it is a more serious colour, though either would look good on you.